This petition has been created by Adrian D. and may not represent the views of the Avaaz community. Electronic cigarettes have become hugely popular across EU member states. Smokers finally have access to an alternative to smoking tobacco, one which leading scientists and medical professionals agree is around 99% safer than traditional cigarettes. Following the recent overturning of EU proposals to bring electronic cigarettes under medical regulation, the EU is once again attempting to enforce poorly thought out and excessively draconian restrictions on the import, export, manufacture and sale of ALL currently available electronic cigarette products. Under the new proposals, all tanks, juices and re-usable devices will be banned. 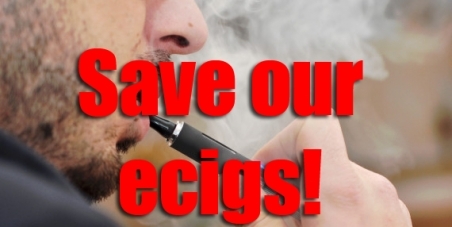 The plans to rush these proposals through before the end of the current EU Presidency mean that proposals designed to decimate the electronic cigarette industry and deprive millions of ex-smokers from the one product that they know will keep them off tobacco for good, will be voted on without due democratic process. We urge the EU Parliament to reconsider the proposals under Article 18 of the Tobacco Products Directive. More time needs to be given to the process to ensure that reasonable consumer regulation which respects the rights of vapers is drafted and approved.